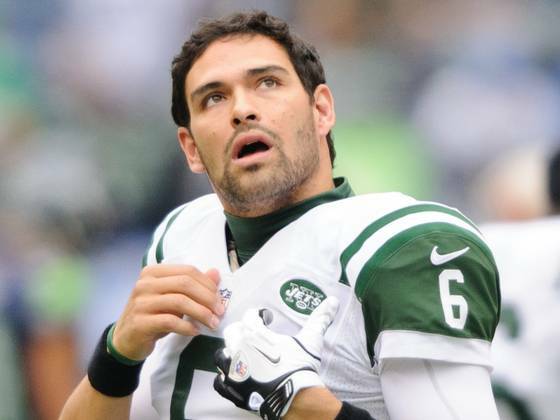 EAST RUTHERFORD, NJ – After a long five year commitment, the Jets have announced that they have cut QB Mark Sanchez. It was reported all along that the Jets were going to cut Sanchez for a few reasons. To free up cap space and the team just wanted to move on from him. Sanchez was due a $2M roster bonus on Tuesday and with this cut, the team saved up about $8M in cap space. Head coach, Rex Ryan stated on ESPN radio earlier today that there is a possibility that Sanchez would stay, Rex of course, hinted the response. After the release, Rex said that he wishes Sanchez all of the best and appreciates the wellness that he has done for him and the team. Mark Sanchez is known for his past-post season success. He led the New York Jets to two back to back AFC championship games during his first two seasons as a Jet. (2009 & 2010) Sanchez ended his time with the Jets with a 4-2 playoff record. Per source, Sanchez is probably the most top QB in the free agent market as of now. There are few teams that are considering signing Sanchez like the Cleveland Browns for an example. At one of the Senior Bowl practices months ago, a head coach told a reporter that Sanchez would immediately start for him. Sanchez lost his starting job this season after being placed on IR with a torn librium in his left shoulder. It happened during the third preseason game against the New York Giants. As a starter for the Jets, Mark Sanchez was 33-29, had 12,092 passing yards, 68 touchdowns and 69 interceptions. With the Sanchez releasing out of the way, the Jets quickly signed former Eagles QB Michael Vick. Per multiple sources, the Jets signed Vick to a 1yr $5M deal. Vick was an immediate target for New York all along and with this signing, it gives him a chance to aid a young Geno Smith. Vick also reunites with OC Marty Morhinweg (OC for the Jets) who was his offensive coordinator back in Philadelphia. With Vick being signed on the team, it will test QB Geno’s Smith mental toughness which is needed to succeed in the NFL. Tags: New York Jets, NFL, Philadelphia Eagles. Bookmark the permalink. Keep up with the Jets Stream! Jets announce a deal with WR Eric Decker.